Give us your trust and we'll help you to repair or update your car! SEL/S420 (140.042. 10/1998 3199 170 231 M 104.990; M 104.994 Sedan. 140.033) 03/1991 -. SEL/S320 (140.032. IMPORTANT NOTES: Chassis number from: A220201;Construction year to: 05.1993. ). Puch G-MODELL (W 463) G 320 3.2 L / 3199 cc 1994.09 - 1997.12 155 Kw / 211 HP Construction year to: 11.1997,Chassis number from: 911317. Puch G-MODELL (W 463) G 500 5.0 L / 4966 cc 1998.04 - 1999.12 218 Kw / 296 HP. JOHNS KSP 50 14-002. IMPORTANT NOTES: Chassis number to: A220200;Construction year from: 09.1993;Construction year to: 05.1993;Engine Code: M 119.970,980;Engine Code: M 119.970;980;Model: <500 SEC Coupe>;Model. 06/1993 1996 90 122 M 102.961; M 102.962 Sedan. 10/1994 2394 92 125 ARD Sedan. 12/1987 2298 125 170 M 102.983 Sedan. 06/1991 5547 178 242 M 117.968 Sedan. 12/1994 2933 107 145 BRE; BRF; BRD Sedan. 08/1988 2298 130 177 M 102.983 Sedan. 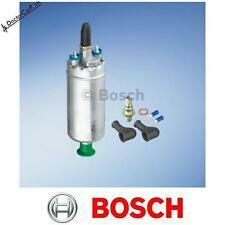 Fuel Pump In Line 0986580372 Bosch. Part Number 0986580372. Function Fuel Pump. Other references. Engine Code: M 111.975; Model year to: 05/2000. 2.6 L / 2597 cc 1989.09 - 1992.08 118 Kw / 160 HP. 2.6 L / 2597 cc 1985.09 - 1989.12 122 Kw / 166 HP. Puch G-MODELL (W 463) G 320 3.2 L / 3199 cc 1994.09 - 1997.12 155 Kw / 211 HP Construction year to: 11.1997,Chassis number to: 911316. 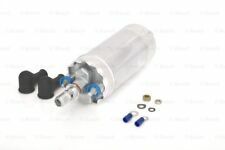 0580254911 BOSCH ELECTRIC FUEL PUMP BRAND NEW GENUINE PART. Magills E/T Tube 25Mm 272046. Changed your mind?. This does not affect your statutory rights. Manufacturer Part Number 0 580 254 919. Helpful Links. Item model number 0 580 254 919. 03/2002 4266 205 279 M 113.943 Convertible. 03/2002 5439 255 347 M 113.981; M 113.984 Convertible. 03/1998 3199 162 220 M 104.992 Convertible. 03/1998 3606 200 272 M 104.992 (AMG 3.6) Convertible. 08/1994 5987 300 408 M 120.981; M 120.983 Convertible. BOSCH 0986580372. BOSCH 66150. 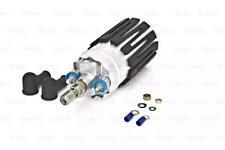 CHRYSLER CROSSFIRE 3.2 07/2003-12/2008 3199 160 218 Petrol Engine Coupe. CHRYSLER CROSSFIRE SRT-6 09/2004-12/2007 3199 246 335 Petrol Engine Coupe. BOSCH 0580254950. 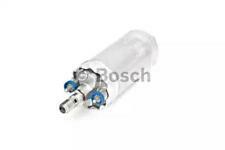 BOSCH 69608. BOSCH EKP-3-2. 09/1989-08/1992 2597 118 160 Petrol Engine Estate. 09/1985-12/1989 2597 122 166 Petrol Engine Estate. FORD 6165571. BOSCH 0580254911. 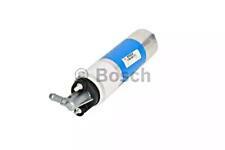 BOSCH 69607. BOSCH EKP-3-2. FORD SIERRA Turnier (BNC) 2.0 10/1985-12/1986 1993 74 100 Petrol Engine Estate. 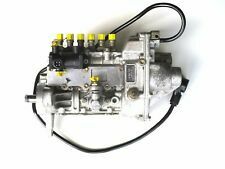 FORD SIERRA Turnier (BNG) 2.0 i Cat 01/1987-02/1993 1993 74 100 Petrol Engine Estate. 03/2001 4266 225 306 M 113.944 Wagon. 03/2003 4266 205 279 M 113.940 Wagon. 03/2003 5439 260 354 M 113.980 Wagon. 07/2009 3199 165 224 M 112.949 Wagon. 05/1993 3199 162 220 M 104.992 Coupe. 06/1997 3199 162 220 M 104.992 Coupe. AUDI 893906091B. VW 893906091B, 893906091E, 8G0906091A. AUDI 100 (43, C2) 2.1 Saloon Petrol 10/1977 07/1982 FWD 10 115 85. AUDI 100 Avant (43, C2) 2.1 Estate Petrol 07/1977 02/1983 FWD 10 115 85. AUDI 80 (89, 89Q, 8A, B3) 1.8 S Saloon Petrol 09/1986 10/1991 FWD 8 90 66. Audi 80 81, 85, B2 [1978-1986] Saloon 1.8 GTE quattro (1781ccm 110HP 81KW Petrol). Audi 80 81, 85, B2 [1978-1986] Saloon 1.8 GTE quattro (1781ccm 112HP 82KW Petrol). Audi 80 81, 85, B2 [1978-1986] Saloon 2.0 (1994ccm 115HP 85KW Petrol).